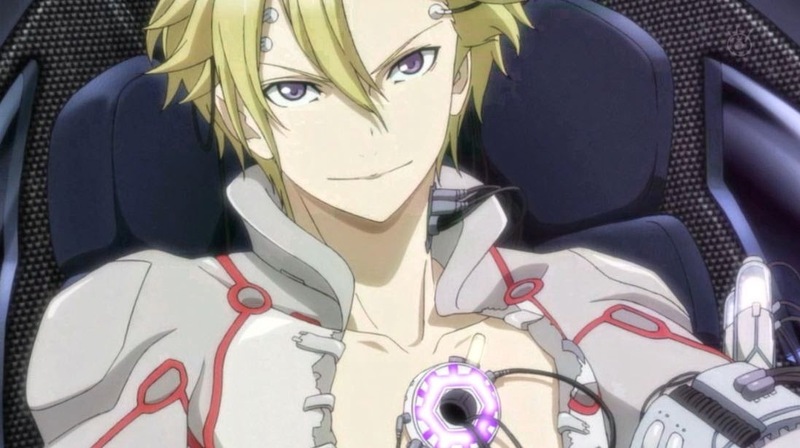 Guilty Crown is an original 22 episode Action/SciFi/Romance series from director Tetsuro Araki and Production I.G. for the fall 2011 season. 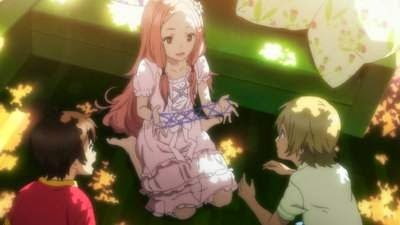 Manga, light novel and video game adaptations followed afterwards with the video game Guilty Crown: Lost Christmas the last to be released in July of 2012. As of this review, Guilty Crown has been licensed FUNimation Entertainment (US), Manga Entertainment (UK), and Madman Entertainment (AUS). 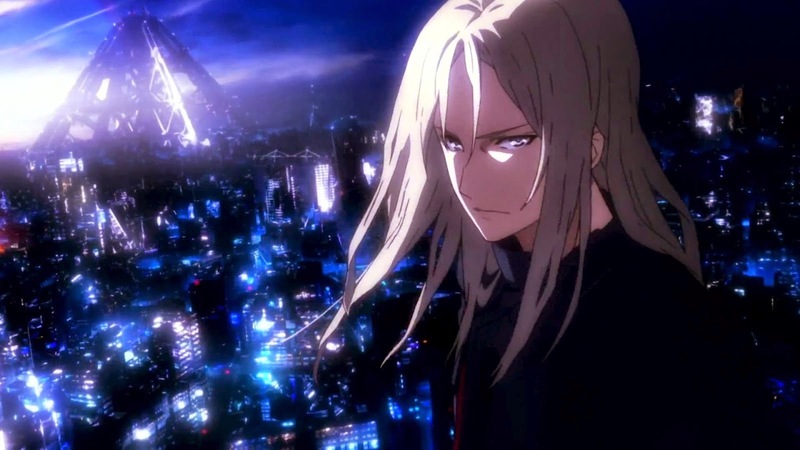 High school student Shu Ouma encounters a wounded girl named Inori Yuzuriha, the vocalist of a popular internet group Egoist, taking refuge at his film club's workshop. The GHQ Anti Bodies storm the workshop and arrest her for involvement with the terrorist group Funeral Parlor. Shu follows the coordinates of Inori's robot to a drop zone where he meets Gai Tsutsugami, leader of Funeral Parlor, who asks him to safeguard a vial. 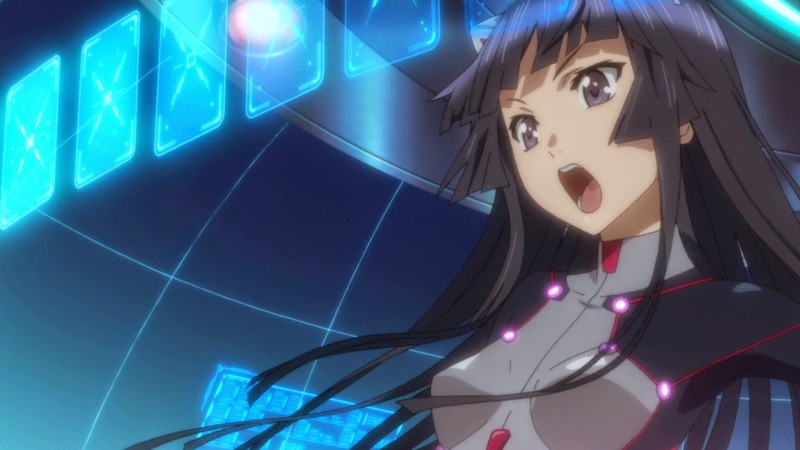 As GHQ begins attacking the Ruppongi area looking for the vial, it shatters as Shu goes to rescue Inori when she becomes threatened by GHQ Endlave mechs. The vial contains the Void Genome, a powerful genetic weapon derived from the Apocalypse Virus that grants Shu the "Power of the Kings", an ability that allows his right hand to extract Voids, weapons of people's psyche given physical form. With Production I.G. 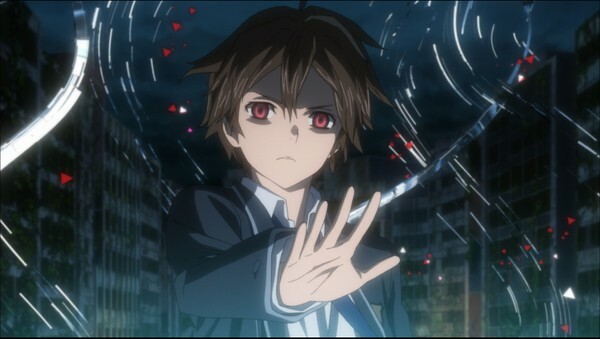 being the ones to animate Guilty Crown, no one will be surprised when I say the animation is great! Production I.G. 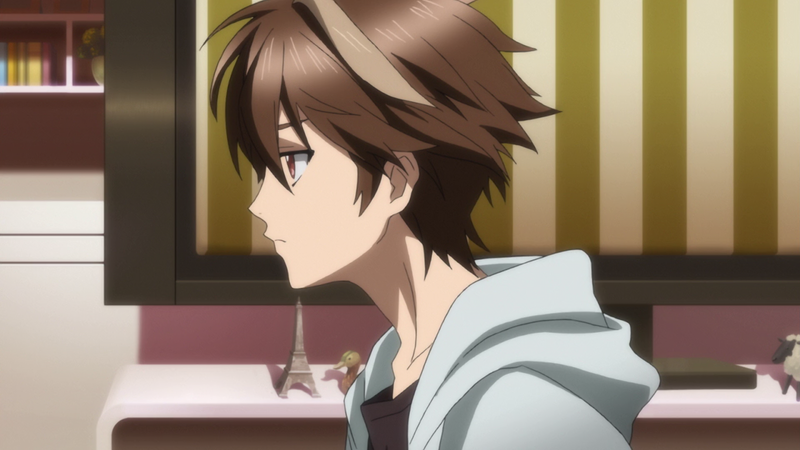 has been gaining really good ground when it comes to animating their series, and Guilty Crown is no different. Everything just looks beautiful, and the fight scenes just flow naturally. There is a little bit of CGI animation hiding in there but it’s not overpowering and it makes the series flow rather well. As for the soundtrack, the big selling point FUNimation used for their release was Supercell, a JPop group. The music from this group along with their other existing act Exoist was rather good and I’ll probably hunt down some songs to listen to. Hiroyuki Swano also took charge of music but more for the rest of the soundtrack instead of insert songs. Aside from the insert tracks, Guilty Crown’s soundtrack has it’s moments of beautiful sounding music and then it’s moments of cliched tracks and sometimes those cliched tracks can be glaringly obvious. I mentioned quite a bit already about Tetsuro Araki’s involvement with this series, but for what reason? If you’re familiar with his work you may already know that he isn’t that good with his stories. For some reason, his work tends to have story problems. DeathNote’s second half was a mess, Attack on Titan had really long drawn out arcs (though a second season is in the works so I’m not worried), and High School of the Dead is..... well it’s High School of the Dead. Point is, for some reason, for all the dramatic moments and fun characters we meet in his work, the story seems to have some sort of flaw. Where does that leave Guilty Crown? I’d say it’s in a similar situation that DeathNote had. Once it hit a certain part in the series it all started falling downhill. It doesn’t help that I went into this series with little expectations as it is, and instead I just started looking for where it was going to land on its face. The series was already shaky as it was from the beginning, and it got ripped apart at the seams by the end. Not only that, but plot holes and questions will be found by the time you finish this show. 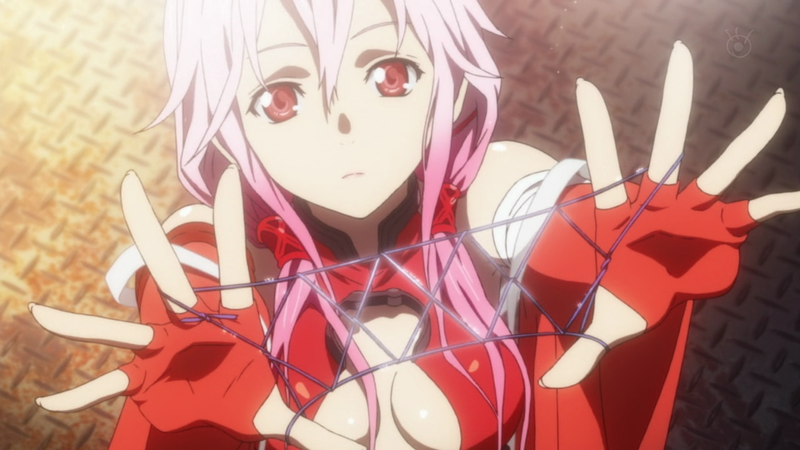 Guilty Crown’s story was it’s weak point, that’s for sure. .....I know the DeathNote comparison is hard to believe but trust me. Honestly didn't think Solusod could pull it off, but he did! I forgot to mention Josh Grelle is hanging out here too. Just saying. FUNimation has done something with one of it’s major releases that I haven’t seen in a long time, they have some lesser known voice actors taking on major roles in a series. This is a change I fully welcome. We do still have really well known voice actors in the mix such as Monica Rial, Caitlin Glass, and J. Michael Tatum however they are in more supportive roles. The only well known voice actor in a rather major role is Micah Solusod (Soul Eater, Eureka Seven AO) as Gai Tsutsugami. I previously complimented his work in Kamisama Kiss because of it’s strong comedic and romantic nature. This time I have to compliment him on one of the most mature roles I have ever seen him play! Sure he has played some serious characters, but not like this and I love it when voice actors grow into their own and gain versatility. Gai is, perhaps, my favorite character of the series. On the more lesser known voice actor front, once again we see Emily Neves (Future Diary, Kokoro Connect) with her take on Ayase as another really enjoyable performance. Apphia Yu (Robotics;Notes, Shangri-La), David Trosko (Suzuka, Sankarea: Undying Love), Corey Cleary-Stoner (Sgt. Frog, Space Dandy), and Jarrod Greene (Level E, Toriko) all also have fun performances as Kanon, Yahiro, Souta, and Argo. Alexis Tipton (Shiki, Rideback) isn’t quite as much on the lesser known area, but she was beginning to take off much more around the time of FUNi’s release of Guilty Crown as well as Blood-C so it kinda counts. Her performance as Inori fits the character rather well, since Inori can be seen as more of a doll for a decent amount of the series making Tipton a great choice! Not only this, but being able to closely match Inori’s Japanese singing voice would also be a challenge to match. Then there’s our leading man, Shu, played by Austin Tindle (Ben-To, Is This a Zombie?). 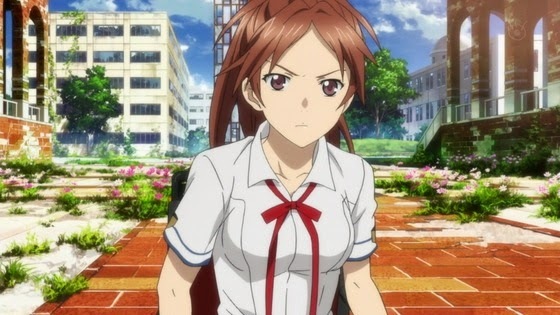 I will admit I have not really heard of Tindle until I saw the trailer for Guilty Crown’s english release. And, although I didn’t pay attention that well after that, the fact that a lesser known voice acting is taking on a lead role for a rather dramatic series was a risk that paid off rather nicely! Next time, we begin a month long adventure with a girl named Saya. Until then, otaku on my friends!